In a strange move, a middle aged blind man who could not cope with life as a result of a separation with his wife has allegedly committed suicide by hanging in Kumasi. Mobila Yanam, said to be in his 40s had tried two suicide attempts in the past. He was said to have drunk some poisonous substances in the earlier attempts but was treated at the Komfo Anokye Teaching Hospital (KATH) and became blind about three years ago. He was made to write an undertaken on both occasions not to attempt suicide again. 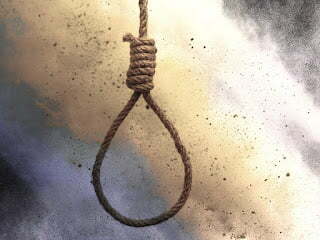 Last Sunday morning, Mobila who had lived in the area behind the Ridge Police Station close to the ECG Sub Station in Kumasi for years was found hanging on a mango tree with a piece of cloth. He was naked. According to his brother, Bobila Yanam, it all started after quarrels ensued between the deceased and his wife over accusations and counter accusations of infidelity. It culminated in the two separating about four years ago. The wife left Kumasi and went to her hometown in Northern Ghana with one of their children, whilst the deceased stayed in Kumasi with the other child. About three years ago, Mobila drunk a poisonous substance and luckily some neighbours rushed to the scene and sent him to the hospital after which he was made to sign a bond at the police station not to attempt suicide again. A few months afterwards he broke the bond and attempted suicide for the second time, with some unknown substances and was rushed to KATH where doctors did their best to save his life but he lost his sight. He was counseled not to try the move again and according to his brother, Bobila on Sunday, he had gone to visit him as usual to give him money for up keep only to find his lifeless body hanging on the mango tree.